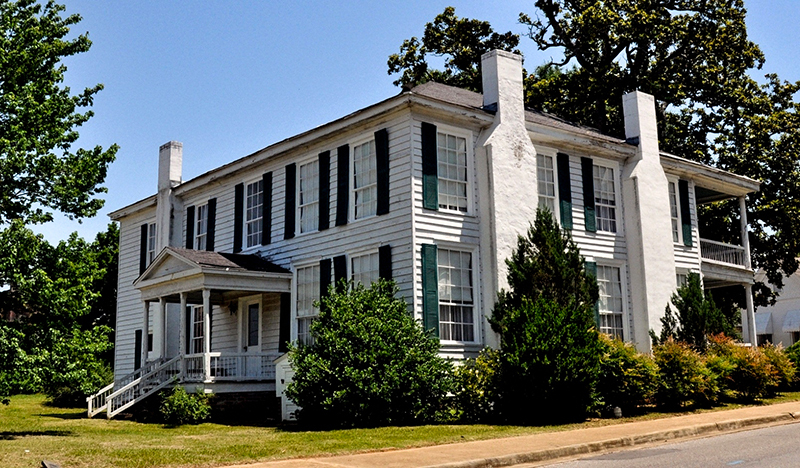 The Noel-Ramsey House is the oldest home in Greensboro, Hale County. It was built in 1819-21 by Thomas and Anne Hurtel Noel, who came to Alabama as part of a group of settlers of the Vine and Olive Colony in Demopolis, Marengo County. It is the only surviving home connected to that colony and is also known as the Old French House, for the French immigrant origins of the original group. Now owned by the Historic Hale County Preservation Society, it is part of the Greensboro Historic District listed on the National Register of Historic Places.